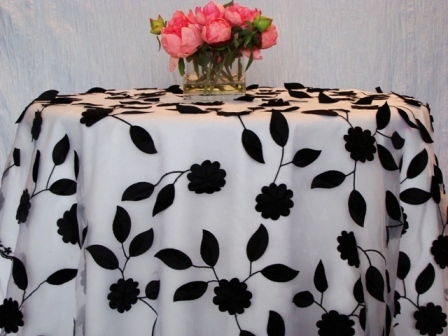 I thought this tablecloth was so pretty that I would show it you. It is sheer white organza with black embroidery and applique flowers. It is set over a white undercloth and it is simply gorgeous.